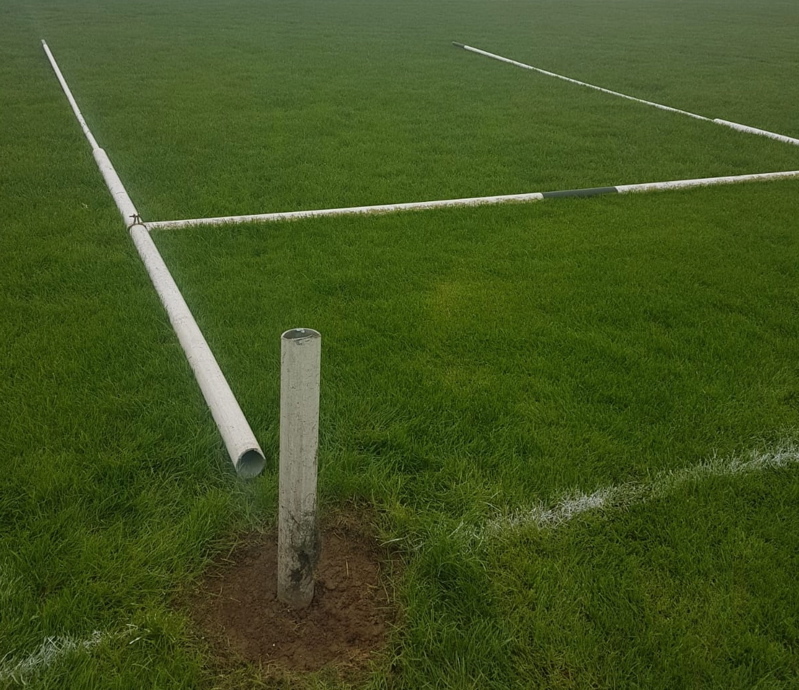 WITH Kilfeacle RFC’s division one league fixture against Newcastle West called off last week-end due to damage to one of their goalposts (pictured), the venue for their Munster Junior Challenge Cup clash with Galbally this coming Saturday may have to be re-arranged. The draw for this competition throws up some interesting pairings with Richmond, Galbally and St Mary’s all playing away from home. Abbeyfeale will be hoping for better return when they host Skibbereen while Newcastle West, who have been in good form in early season, entertain Crosshaven. City side Saints Mary’s make the long trip to Bandon in search of their first competitive victory and Richmond are also on the road with a tricky fixture against in-form Clonmel. Munster Junior Clubs Challenge Cup: Abbeyfeale v Skibbereen, Abbeyfeale, 2pm. Bandon v St. Mary’s, Bandon, 2pm. Clonmel v Richmond, Clonmel, 2pm. Kilfeacle v Galbally, Kilfeacle, 2pm. Newcastle West v Crosshaven, Newcastle West, 2pm. St. Senan’s v Waterpark, Jim Slattery Park, 2pm. Munster Junior Clubs Challenge Shield: Cobh Pirates v Youghal, Cobh, 2pm. Mallow v Fermoy, Mallow, 2pm. Old Christians v Fethard, Rathcooney, 2pm. Waterford City v Clonakilty, Waterford, 1.30pm. Ennis v Douglas-Carrigaline, Ennis, 2pm. Tralee v Killorglin, Tralee, 2pm. Munster Junior Clubs Challenge Shield: Ballincollig v Castleisland, Tanner Park, 2pm.